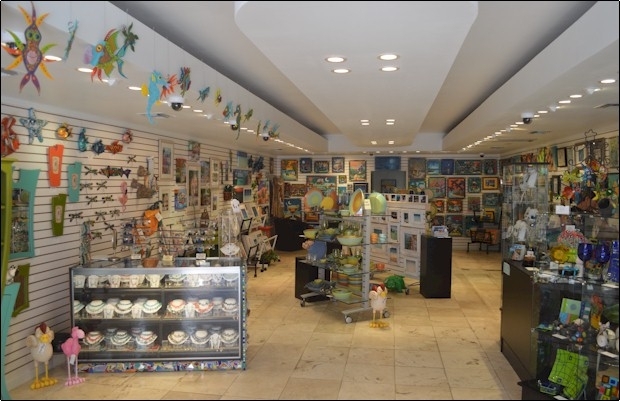 7 Artists & Friends represents many of Key West’s favorite artists. Martha DePoo, Pam Hobbs, David Scott Meier, Tony Scullin, EGG, Lynne Fischer, Noelle Rose, Karen Beauprie, Mary O’Shea and local jewelry designer Jennifer Badry of Mango Season Jewelry Designs. Come in and check out the fresh caught local art. Photo realism, sculpture, jewelry, abstract, watercolor, photography, whimsy and glass; this gallery has it all.